While countless people are throwing away their broken March Madness brackets, Los Angeles-based singer-songwriter Lanita Smith scores one slam dunk after another. Lanita’s 2016 started off on a high note when she released her anticipated debut EP: Listen to Your Heartbeat. As the title track went live on VEVO, Lanita headed to the El Captain Entertainment Centre, where she made her national debut on Jimmy Kimmel Live. Lanita performed both “Listen to Your Heartbeat” and “I Love You.” Her velvet vocals breathed new life in the studio as impressed the longtime ABC late night host and his studio audience. Before she took the Jimmy Kimmel Live stage, Lanita filmed a special feature for Guitar Center fans. Last year, the Fayetteville, North Carolina native entered the music retail giant’s Guitar Center Singer-Songwriter 4. She faced off against countless rising artists, but her powerful voice and lyrics make an impact on influential music producer Don Was, and he selected Lanita to win the fourth contest. 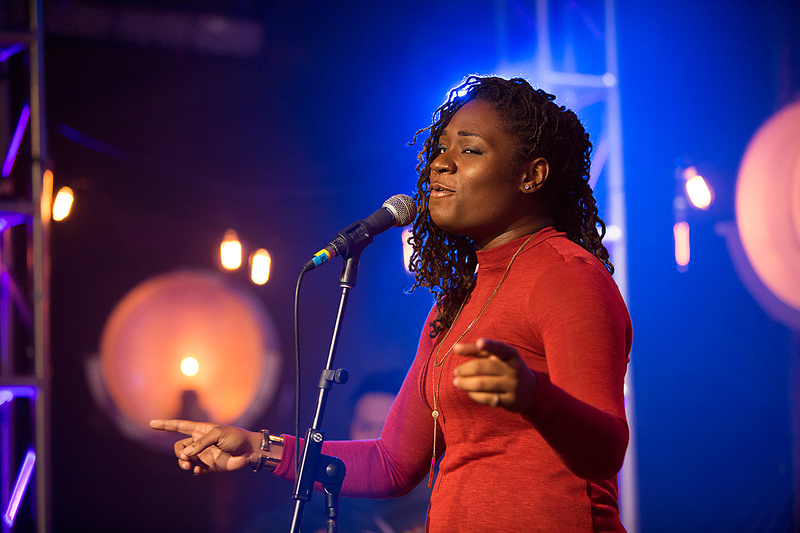 As the fourth champion, Lanita strengthened her craft while working with Jason Mraz, Colbie Caillet and Don himself. He also assisted Lanita with the recording process of her debut EP at the prolific Henson Recording Studios. The accumulation of dedicated hours of songwriting and studio work came together, as Lanita prepared to perform for Mr. Kimmel, his studio audience and millions of fans from across the country. After finishing the show, Lanita Smith headed to the Troubadour and to Guitar Center’s contest to pass the torch onto its latest winner and wowed the crowd at the 2016 NAMM Show. For more information about Lanita, visit her website! You can also connect with Lanita on social media. Visit her Facebook, Instagram, Twitter & YouTube channels. To purchase Lanita’s debut EP: “Listen to Your Heartbeat,” click here. 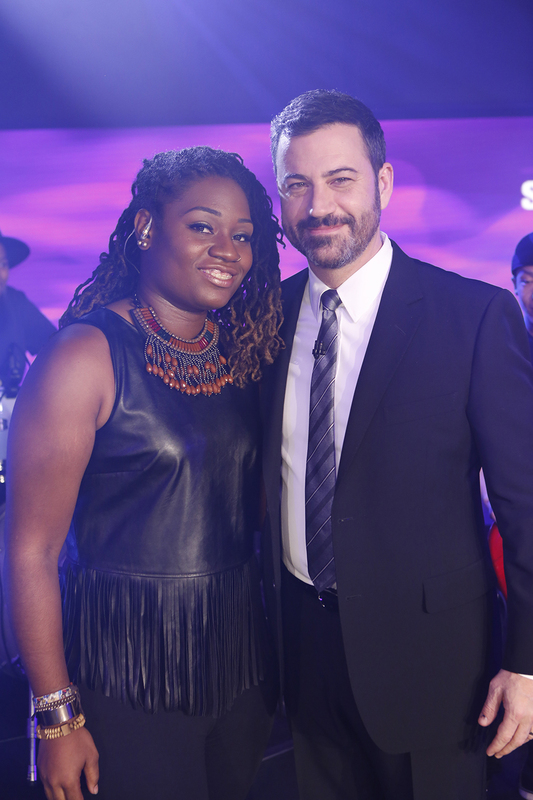 Lanita’s performances on “Jimmy Kimmel Live” are properties of ABC Studios & Jackhole Productions.